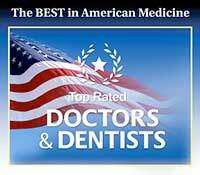 Digital radiography is an excellent technology Riverdale Dental Center is happy to offer for our patients. Digital X-rays can enhance the quality of your dental care, offer a safe way to examine your teeth, and add speed and convenience to your dental appointment. Digital X-rays offer the benefit of instantaneous results that the dentist can examine. With traditional X-rays, the doctor must spend time to develop the film. Eliminating this step can reduce the time of your visit. Not only are digital X-rays faster, but the quality is also better and the images can be expanded and zoomed in on for better viewing. If Dr. Jon C. Bauman wants to seek a second opinion or refer to a specialist, digital X-rays can be sent via email in order to receive a much quicker response, even during your same appointment. Gone are the days when you must wait for files and X-rays to be sent via post. Digital X-ray is a very safe and tested new technology that uses 90 percent less radiation than film X-rays. Digital X-rays will expose you to much less radiation than you would be exposed to throughout the course of a normal day from natural sources. For those that are concerned about radiation exposure, digital radiography is an excellent option. For more information about digital radiography in Brighton, Colorado, we invite you to contact our office for more information. We are happy to provide safe and advanced technology in order to enhance your dental care.